Not sure what to order? 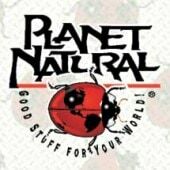 Try our Planet Natural Gift Certificate… it’s sure to make a growing impression! We’ll make one out for any amount and send it along to the person of your choice (please provide name & address). Note: To increase the value of the gift certificate, order more than one. For example, order 5 for a gift certificate. We’ll make one out for any amount and send it along to the person of your choice. Grow beautiful blooms & luscious veggies without chemicals! Here's how.